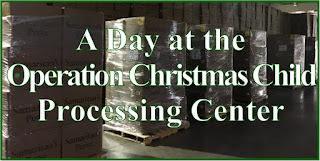 We didn't get any shopping done in the past week, but that doesn't mean our stockpile didn't grow! Thanks to my aunts, it actually grew quite a bit! :) First, the aunt who packs with us came for a visit with a stash she'd built up of packing items. Then I got a box from my other aunt who had called when she found a deal on flip-flops to see if/what kind/how many we needed. She and my great aunt cut off all the extra packaging, and got them all ready for us to pack! Finally, I asked a friend if she had any leftover bags from the VBS she was running if I could have them for shoeboxes-she brought me the few that were left. Then she asked if I had any use for lanyards as they had more of those left. I said I sure could use them-I have whistles to hang on them if nothing else! Such colorful and practical items! We like to send work gloves in all our older boxes, and my dad was really excited about the leather ones. Also some tools-we went with screwdrivers and pliers as they're more universal than say wrenches in metric or standard, and Dad wasn't too thrilled with the hammers. We got one tool box to pack as a shoebox. Also some really nice tool bags that we think we'll be able to fit creatively in reasonable sized shoeboxes. Plus some wooden 3D puzzles-these are really great as 10-14 boy toys were on my "still needed" list and that checked them off, and I wasn't planning on being able to use the gift card value toward that!! My sister and I ran buy today when out running errands, and what we were planning to buy was only $0.99 this week-and the 20 % off worked on it, so we spent less than $2 from the gift card on all of this. Then, we stopped at Mighty Dollar, and were able to find some nice, 80# test weight para-cord to send in boxes or as drawstring for our pencil bags. 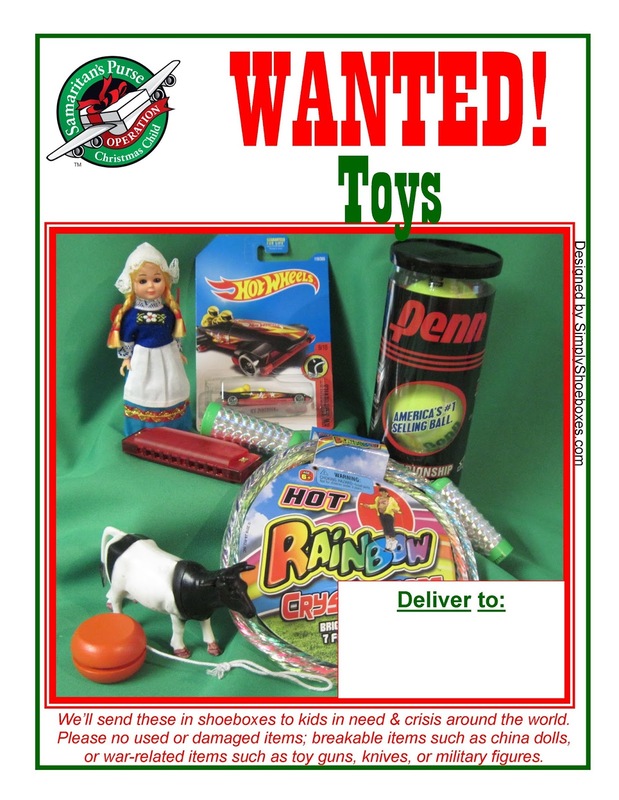 I think we're going to have some great 10-14 boy boxes with these practical items, plus the normal, game, toys, stuffed animal, ball, clothing item(s), hygiene, school and art supplies! I'm really enjoying adding tools to the boxes-probably kind of a replacement for the space candy used to take. Here's a tool themed box I packed last year. 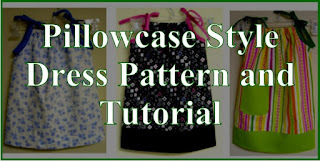 On this blog I mostly write about packing, shopping, crafting, etc. 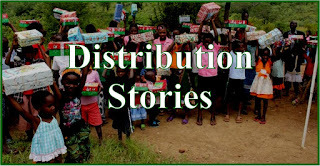 for shoeboxes, but I thought it'd be encouraging to share some distribution stories, plus I love to get more ideas and feedback on things to include from first hand reports. Since I've never been on a distribution, I send questions to those who have. My name is Debbie Pottorff and I’m the Church Relations Coordinator for the Big Bend / Tallahassee Area (Florida / P.R. Region) My husband, John, and I have been married for decades now and have 5 grown children (complete with grandchildren, children-in-laws, and “bonus” grandchildren). We’re still both working full time but since the kids are gone (out of the house) our lives would seem a bit empty without our shoebox kids. John is the leader of the Main Drop-Off location in our Area and since our Area Team is relatively small, we try to help out our Area Coordinators in other roles, as best we can. We truly believe in the OCC mission, the Great Commission and Matthew 1:8 “But you will receive power when the Holy Spirit comes on you; and you will be my witnesses in Jerusalem, and in all Judea and Samaria, and to the ends of the earth." For us, this is the way to live! Our Area Team has a facebook page: OCC Tallahassee/Big Bend FL that we'd love to have anyone to "like" and follow and we have a monthly email newletter that can be accessed throught the fb page. 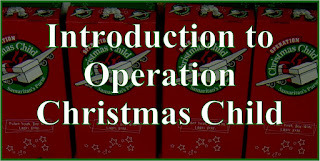 >>When & where did you distribute shoeboxes? UPDATE: These coupons are no longer available, but may be available again soon, I'll try to kee you up to date! 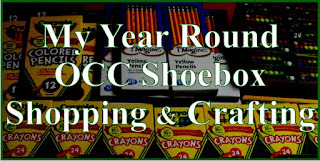 I got some fun things for shoeboxes this week! At Mighty Dollar I got a few more scissors, plus a super cute set of water colors. A couple pencil cases for Pencil Granny & Friends project, and a super cute padded box I'm planning to make into a sewing kit - I think she'll also be able to use it as a pin cushion. I also ordered from Raymond Geddes. I saw a free shipping code on Pencil Granny & Friends, so thought I'd try it out. Here's an up-close of what I got some watercolors on sale. Also mechanical pencil leads-I was really fascinated by the colored pencil lead-I think that will be so fun to include this year! My sister crocheted 3 Aunt Ida hats. Saved $25 on sales/discount stores + free shipping. 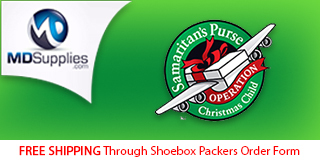 Have you tried Swagbucking for Shoeboxes yet? Links to Swagbucks in this post are my referral links. I also earned SB for sharing this promotion. 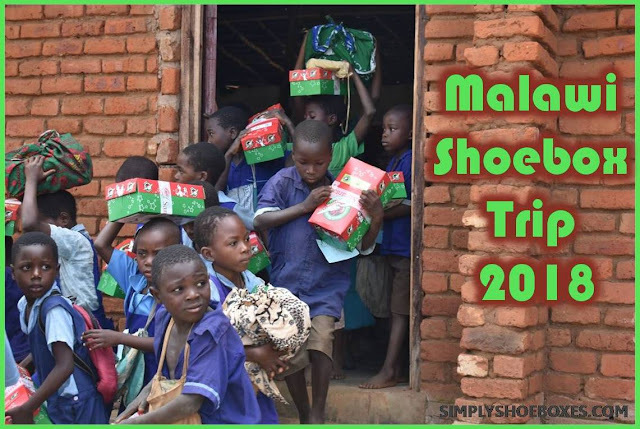 I like to share about Swagbuks from time to time on this blog as we've found it a good way to make a little extra money, and others have been able to get money for shoeboxes through it, as well. All through June you can earn large bonuses when sign up as my referral on Swagbucks. Swagbucks is a rewards site where you earn points (called SB) for things you're probably doing online already, like searching the web, watching videos, shopping, discovering deals, and taking surveys. Then you take those points and exchange them for gift cards to places like Amazon, Walmart, or PayPal cash. Disclosure: Links to Swagbucks in this post are my referral links. Thank you for using my links it helps me earn extra SB. I also earned SB for sharing this promotion. We had this supper cute stuffed animal for an Operation Christmas Child Shoebox, but it was a little big...could we still send it? We didn't want leave out anything on our basic packing list (hygiene, school, and art supplies, clothing, whistle, etc as well as toys including a ball and stuffed animal with a family photo) or use too large of a box that might be hard to fit in the cartons. 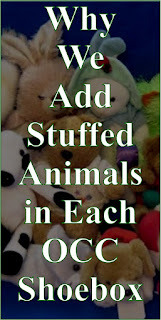 Since it was a very soft stuffed animal, it ended up fitting just fine in a GoBox with lots of other great items! Often people find it helpful to see how the box is packed to fit everything in, so here's some photos of how these items fit in the shoebox. 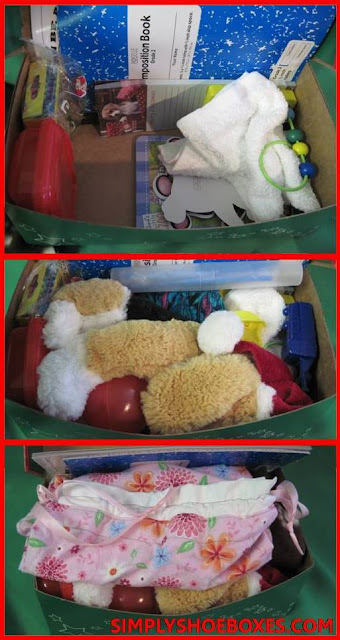 For more ideas/fun boxes, check out other shoeboxes we packed for 2-4 year old girls or our themed boxes! Why Affiliate Links, Posts, Ads? 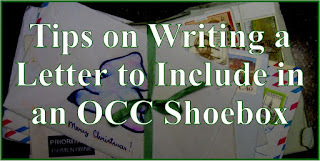 This is slightly off the topic of shoeboxes, more of a personal note to my readers. 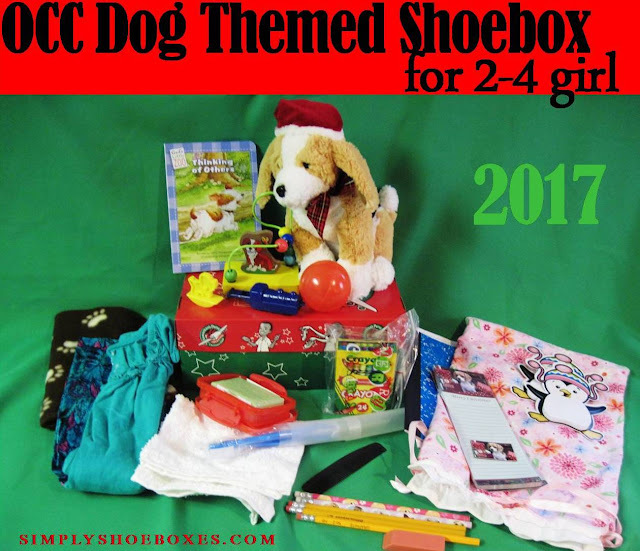 You may have noticed on this blog, the Simply Shoebox Facebook page, and/or Youtube channel affiliate disclaimers or ads on this blog. I know some people may be wondering, "Why are you trying to make money off helping children?" So, I thought I'd explain. First, a little about me. I'm the media director at my church. 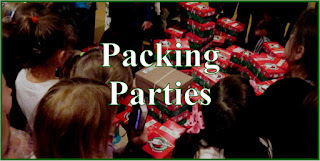 I also organize the packing of shoeboxes with extended family and help from friends-over 100 a year, also most years of late I've organized my church's church-wide drive and one or more packing parties at my church. So, all that eats into my available time to volunteer (Media Director alone requires 4 hours on-campus on Sundays plus a few more from home throughout the week). While I could probably find a little time to share an occasional post, last year there were 112 posts on the blog, a half dozen videos on the new YouTube Channel, plus countless Facebook posts. I just don't have enough free time to do all of that...but...if I can make a little bit of money (& trust me it's not a lot) while doing it, I can dedicate more time to it. Plus, based on passages like 1 Corinthians 9, I believe it is fine for me to get compensation while working on ministry. Second, a little bit of the history of the blog. 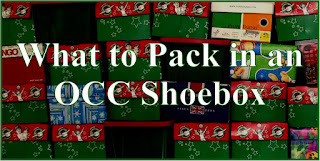 This blog started to share our journey of packing shoeboxes. A Facebook page was started to share posts, and has grown to share other ideas, photos, links, etc. 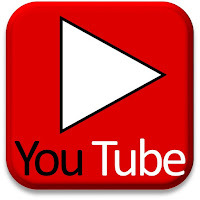 The YouTube channel was started, in part, because many videos I stumbled on there seemed to have outdated, confusing, or even, on occasion, wrong info. At the time we started the blog we were running the Simply CVS blog to make a little money on the side. Recently I had to close Simply CVS for a couple reasons, which means I needed a little more money, but also had some more time, so am trying to dedicate it to this blog. 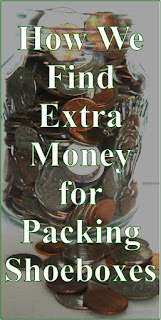 I try very hard to not just post something because it could be lucrative, but because I feel it could be helpful, inspiring, etc, to other shoebox packers. If you're interested these are the different ways I "monetize" this blog. Since it's very easy to add Google Ads to a blog, and isn't a trouble to anyone, and we had them on our other blog we added them here, too. It should be pretty easy to see what's an ad. I don't control which ones they show (although I have blocked a few objectionable ones). Also, while it's not really monetizing, but sometimes I'll be given free product to write a review post from, this will also be disclosed, but most the time the items just go into shoeboxes after I look at them. 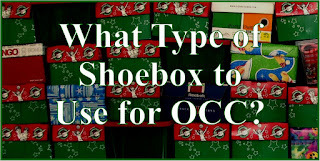 Sometimes there will be a printable coupon that would be good for a shoebox deal, I will be compensated only if you think it'll be a helpful coupon for you and you print it. There are some places we use to make a little bit extra money online or as an app, and these often have programs to be rewarded if someone signs up under you. So, if I share them, I'll use the link they offer (with disclosure) so if you decide to try it, I'll get what they're offering to give me-often this is only if it actually works out for you and you've gotten rewarded, too. Occasionally there will be a sponsored post. This will be disclosed in the post, and what it means is they're paying me a set amount to post about a certain topic at a certain time. But I'll only do this if I feel it can be an interest/good/inspiring/helpful, etc. post. The post may also include a link I'd be compensated if you took an action after going through, which will also be disclosed. So, I hope this helps you understand what ways I may make a little money from this blog, and why I choose to do that. I thankful for these opportunities to get money from doing this blog as it enables me to share my passion for it even more! Samaritan's Purse has suggested items of the month for packing Operation Christmas Child shoeboxes, and for June, that's toys! 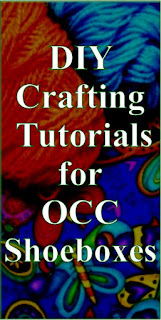 I thought maybe a collection poster would be of use to churches and others who followed OCC's items of the month. So, here's what I came up with. Feel free to print it out, share online, etc. as needed to get more toys for shoeboxes. If you like this poster, you may want to check out our other collection posters.